Audi has stretched its ‘S’ line-up further with the Q5 crossover the latest model in the range to get the performance makeover. The Q5 is unlike many of the company’s other ‘S’ models, however, in that it is the first ever to be powered by a diesel engine. It also represents a realistic rival to BMW’s X3 35d model. It comes with a 309bhp Bi-Turbo diesel engine, the same engine recently introduced to the A6 saloon. This is fitted with manufacturer's eight-speed multitronic automatic gearbox. The new engine produces maximum pulling power of 650Nm and this helps power the car from 0-62mph in 5.1 seconds. Top speed for the car is limited to 155mph. 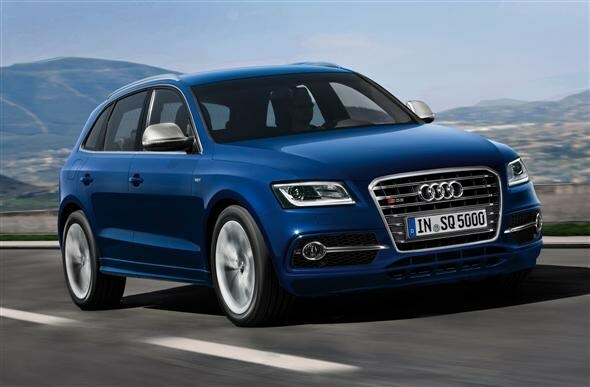 In terms of running costs, the SQ5 as it will be called, is acceptable. Fuel economy is a claimed 39mpg and, while there are no figures for CO2 emissions, the same engine produces 169g/km in the A6 saloon. The SQ5 is likely to be on a similar level to this, which means a first-year tax cost of £275 and annual tax bill of £195. As well as the engine addition to the car, there are the usual cosmetic updates to give it that added ‘S’ look. It comes with Sport suspension that lowers the body by 30mm and gets five-spoke 20-inch alloy wheels, though you can ramp things up a notch with 21-inch versions. It also gets modified bumpers, roof spoiler and plenty of splashes of aluminium-look material and platinum grey around the front grille to add to the imposing look of the car. The new top-of-the-range model also gets some fancy blue and black paint options. As usual the interior is given a high-quality finish. 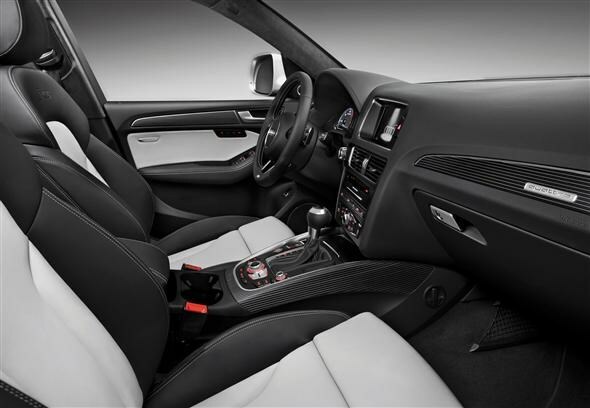 There are electric-adjustable leather sports seats, Audi Connect entertainment systems and a smattering of S badges in the instrument dials, door sill, start-button and steering wheel. 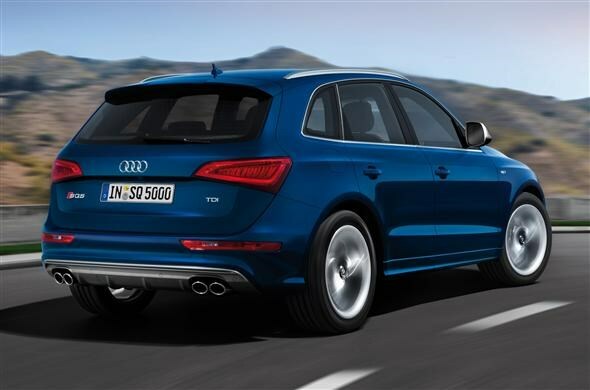 The Audi SQ5 is available to order from October with prices starting at £45,000.